It’s already been six years since Fiat returned to U.S. shores with the new 500, a car that makes up for its imperfections with character and an Italian flair. The basic design for the 500 has remained largely unchanged, and it still stands out among today’s blander urban commuter cars. For 2017, Fiat has simplified the trim lineup to just three options—the base Pop trim, the comfort-oriented Lounge, and the sporty Abarth—with each one offered as either a coupe or a Cabrio (500c) with a folding soft roof. 2017 sees some price cuts as well, with the Pop now starting at $14,995, the Lounge at $18,395, and the Abarth at $19,995—opting for the cabriolet variant will add about $1,500 to the price tag. The 500 is a small car with a small engine, which is all that can fit under such a short hood. The base unit is a 1.4-liter 4-cylinder MultiAir engine that makes 101 hp and 98 lb-ft of torque and comes with either a 5-speed manual or a 6-speed automatic transmission. The Turbo trim has been discontinued for 2017, so if you want more power, you’ll have to opt for the Abarth. The Abarth’s powertrain has the same displacement as the base engine, but it’s turbocharged to give 160 hp and 170 lb-ft and comes with different gear ratios. 160 hp is not much by today’s standards, but this 2,600-pound car can still scoot from 0-to-60 in about 7 seconds. The base engine, by comparison, will get the 500 to 60 mph in just under 10 seconds. The Abarth’s turbo also has the best stock exhaust note of just about any car this side of $100,000, burbling loudly at idle and snarling even more loudly under acceleration. Upon only hearing the Abarth engine at full chat, few would guess that the sound was coming from a tiny Fiat hatchback. Considering the 500’s size, you’d expect it to be frugal on fuel, and it is—but this is an older design, and the 500 is bested by plenty of cars in today’s market. The base engine gets 31 mpg city, 38 highway, and 34 combined with the manual transmission and 27, 33, and 29 with the automatic, while the Abarth’s turbo gets 29, 33, and 30 with the manual and 24, 32, and 27 with the automatic. Both engines run on premium fuel. The base Fiat 500 doesn’t have quite enough grunt to really have fun with, but its short wheelbase and low weight help when cornering and the ride quality is good. Additionally, the steering is by electric power assist and feels relatively tight. The Abarth trim has an even tighter suspension and is certainly more fun to drive at speed, but the combination of a fairly tall ride height and skinny chassis does not make it an ideal track-day car. The high seating position may also take some getting used to for buyers with sporty driving in mind. Regardless, the 500’s small footprint makes it a great city car, particularly in tight parking situations. 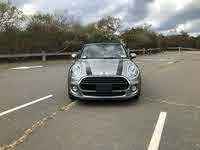 The 500’s compact size, however, does sacrifice passenger space, even when compared to competitors like the MINI Cooper or Ford Fiesta. There isn’t much headroom, and the rear seats are really only suitable for small children or cargo. Standard features on the Pop trim include air conditioning, a CD stereo with an Aux jack, Fiat’s UConnect infotainment system with a 5-inch touchscreen, a leather-wrapped steering wheel, power heated mirrors, and cruise control. The Lounge trim adds a fixed glass roof, chrome accents inside and out, and automatic climate control, and standalone options include a power sunroof, a BeatsAudio sound system, and navigation. One of the biggest appeals of the Fiat 500 is the number of options available to buyers to customize their car’s interior, which is fairly unusual at this price point. Because the 500 is an older design, it’s a bit behind the times in terms of safety. While the 2017 model received a decent 4-star overall rating from the National Highway Traffic Safety Administration (NHTSA), the Insurance Institute for Highway Safety (IIHS) gave it “Good” scores in most crash tests but a “Poor” rating on the small-overlap frontal test, which was devised quite some time after the 500 was introduced. Aside from a rear parking-assist system that comes with the higher trims, the 500 doesn’t offer any of the modern active safety features that so many buyers have come to expect, even from cheap commuter cars. 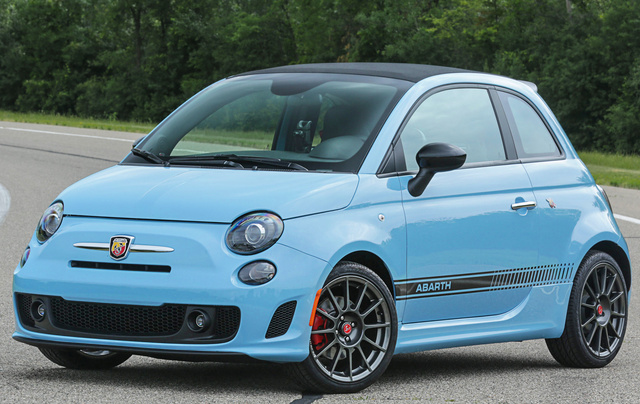 Still, the 500 makes up for its shortcomings in style and driving fun—especially the sporty, snarling Abarth. What's your take on the 2017 FIAT 500? mike We own two 500l's and recently dodge started careing the 500 smalls. We drove one and find the small one rides better. The big ones ride more like a jeep. Have you driven a 2017 FIAT 500?